Alaska, for a state of sparse population, limited development and of vast size, has an extensive web cam network. Moreover, many of these cameras provide for some absolutely stunning views of Alaska - at least if you catch them at the right time. The cameras listed on this page cover virtually every web cam I've been able to locate in Alaska, and are listed either by their location, who owns them or their scenic value. These Alaska web cams show some of the most scenic spots around Alaska, depending on the changeable weather. The FAA has changed how they present their Alaskan Cams now. Instead of each cam having their own web page with photos/weather info, the new site uses a map or sitelist and then pop-ups photos/info when clicked. It is both nice...and not nice. Regardless, it is no longer possible to jump directly to a particular FAA cam site now - users need to first use the huge map/sitelist, hunt around for a particular cam, then click on the name/green dot to view the image. These web cams focus on Anchorage, AK, showing the city from various vantage points. Web cams views found in and around Fairbanks, Alaska. 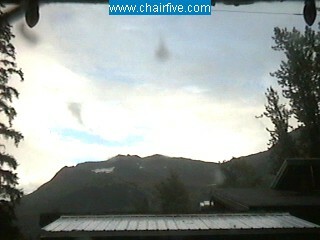 Some nice web cams views of Juneau, AK, at least when there is sun! These cameras are provided by the FAA. They show a mix of scenic and not-so-scenic views from all corners of Alaska. These web cams are mainly meant to show the weather in various places of Alaska for Alaskan pilots. Other Alaska webcam views from around the state. Some are sort of scenic in their own way, too. Some of these cams are also part of the FAA weather cam network. Department of Motor Vehicles "Line Cam"
Travel Alaska - Official visitors site for the State of Alaska. State of Alaska - Official site of the State. There's a myriad of Alaska travel books available. But this list is a good place to start so you don't forget to take the most important books for a trip to Land of the Midnight Sun. All available through Amazon.